The 2019 elections are underway! Each position on the NNALSA executive board is elected annually by NNALSA membership at the Fed Bar conference. This year’s NNALSA Annual Conference will be held on April 11-12, 2019 at the Sandia Resort and Casino in Albuquerque, NM. Five Executive Directors: President, Vice President, Secretary, Treasurer, Public Relations Director. 8) Minnesota, Montana, Nebraska, North Dakota, South Dakota, and Wyoming. 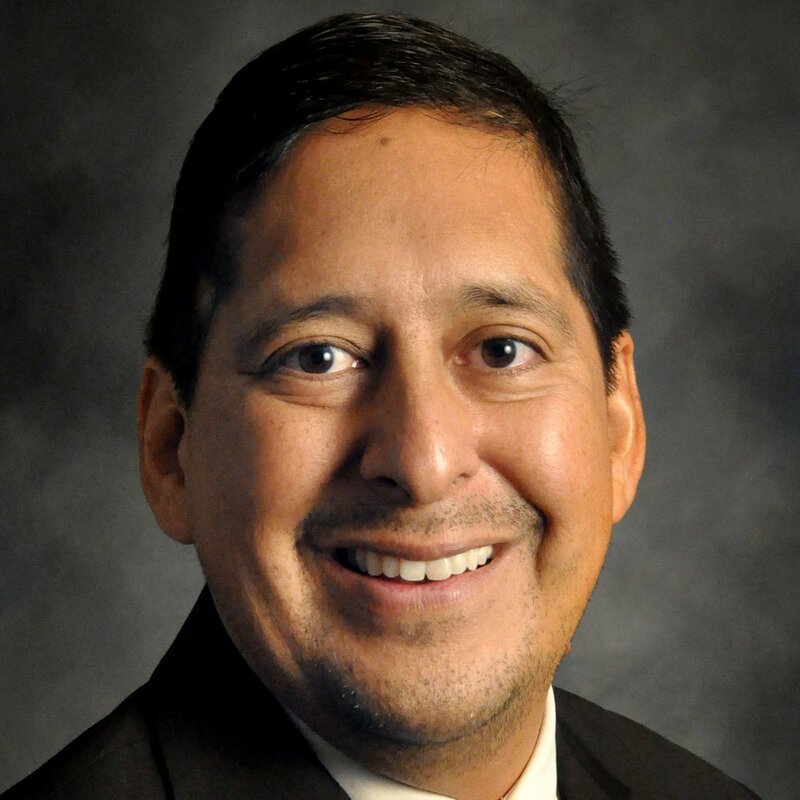 Candidate nominations, statements and must be emailed to the NNALSA Election Chairperson Brian Candelaria by 11:59 P.M. MDT on April 10, 2019 at nnalsa.area3@gmail.com in order to be posted online for membership to read. Elections will be held on April 11th from 5:30 p.m. to 7:30 p.m. MDT at the NNALSA Annual Conference. Proxy votes will be accepted until 7:30 p.m. MDT on April 11, 2019. Proxy votes may be delivered to an NNALSA Election Official at the Annual Conference or via email to NNALSA Election Chairperson Brian Candelaria at nnalsa.area3@gmail.com. For a full account of the rules, please refer to the 2019 Election Procedures. If you have any questions, please email NNALSA Election Chairperson and Area 3 Representative Brian Candelaria at nnalsa.area3@gmail.com. All information relating to the 2019 NNALSA Candidates will be posted here. Information will be shared as nominations are received and verified. We will notify all members of the final list of official candidates for the 2019-2020 term. Statements are limited to three-four paragraphs for space purposes. Statements below are brief. Download full statement under each candidate’s brief statement. I am a rising third-year law student (3L) with the Sandra Day O’Connor College of Law at Arizona State University. I am a member of the Pascua Yaqui Tribe and currently serve as NNALSA’s Public Relations Director. My path to law school was not traditional. As a first-generation student, I overcame challenges and barriers as I attended college, worked full-time, and completed a masters program. Community mentors have helped chart the way to ensure a fighting chance for my family. I know I could not have done it without them. They are paying it forward in Indian Country for the next generation of students and attorneys. Now, I want to help ensure our community continues to thrive. o Strengthen engagement for fundraising, networking, and career opportunities to support our members, chapters, and alumni across Indian Country. o Ensuring our members lead streamlined communications to foster and sustain strong relationships. Leadership does not end in Indian Country. oAccessibility for opportunities to enhance our member’s growth and development for professional goals and aspirations. My law school experience has been possible because of mentors and leaders that have helped me along the way. I want to ensure our members have the same support, access, and opportunities that will help our Indian Law community succeed and thrive. Thank you. Hello! My name is Ashley Vander Wal. I was born on the Turtle Mountain Indian Reservation in Belcourt, North Dakota. I was raised in Mandan, North Dakota. I received my undergraduate degree in Criminal Justice from Minot State University. I am a first year law student at the University of North Dakota School of Law. I chose to attend UND School of Law because they are known for their Native American Law Certificate. I plan to use my degree as a stepping stone for the Indigenous people of my community. I would like to focus on child welfare, domestic violence against women, and human trafficking of Indigenous women. I would like serve as Vice President of the National Native American Law Student Association. I am the incoming Vice President of NALSA at UND School of Law. Additionally, I am involved in Law Women’s Caucus, Criminal Law Association, and Student Trial Lawyers Association. I would make a great candidate for Vice President of NNALSA because I am team oriented. I work well with others by thoughtfully communicating and listening. As Vice President, I would continue to network with other board members and all area members while fulfilling all my duties. Most importantly, I am interested in bringing the NNALSA moot court competition to North Dakota. North Dakota has plenty to offer with beautiful views of the Great Plains and the culture of five federally recognized Tribes. Haną̄c hinikaragi wi ną! My name is Andy Snowball. I am a citizen of the Muscogee Creek Nation and am also from the Winnebago Tribe of Nebraska. I am running for National NALSA’s Treasurer position for the 2019-2020 school year. I am currently a 2L at Creighton University School of Law in Omaha, Nebraska and served as the NNALSA Area 8 Representative this past year. In that position, I enjoyed working with, and facilitating communication between, the Area 8 chapters and the NNALSA Board. I also served on the Midyear and Annual Conference Committee to help plan and coordinate meeting logistics. Before law school, I worked for Fredericks Peebles & Morgan LLP as a legal secretary for 5 years. During that time, I was responsible for various financial and legal support work. I also have my B.A. in Business Administration, which required the completion of multiple accounting courses. I believe that my experience and skill set would enable me to adeptly serve as NNALSA Treasurer. If elected, my goals are to keep NNALSA in compliance with all financial filing requirements and deadlines, and to continue to build a strong record to facilitate success for NNALSA and its future Treasurers. I respectfully request your support in the 2019 NNALSA Elections. Hello! My name is Julia Giffin and I am a citizen of the Sac and Fox Nation of Oklahoma. I am a current 2L at Cornell Law School and I would like to serve as the NNALSA Secretary for 2019- 2020. I will be a good fit for this position because I have experience with the organization as well as the duties of this office. This year I have served as the president of my local chapter and the Area 6 representative for NNALSA. During my presidency, I was able to effectively run our chapter while maintaining our regular events and expanding our involvement in NNALSA activities. Due to the small size of our local chapter, I took on multiple duties within my capacity as president, including making the agendas and keeping the meeting minutes, duties the NNALSA Secretary handles. If elected I will build on the current system to ensure effective meetings and record keeping as well as ensure strong and open communication with board members and local chapters. I sincerely appreciate the nomination for Vice President, and gladly accept. I see this as a chance to help National NALSA in achieving its goals and support professional development opportunities for NNALSA members. I am an enrolled member of the Lumbee Tribe of North Carolina. Currently, I am a 2L at The University of New Mexico School of Law and am pursuing the Indian Law Certificate. Over the course of this past year, I have served as the Area 2 representative for NNALSA and the Indian Law Section Student Liaison for our local UNM NALSA chapter. Serving in these leadership positions allowed me to work with individuals in roles and to advocate for the best interests of NALSA members. If elected, I will continue to serve NNALSA members and help provide opportunities for them to develop skills that will make them powerful advocates in Indian Country. Thank you for your consideration, and I look forward to meeting you all soon. Keshi! My name is Kacey Chopito and I am a member of the Pueblo of Zuni. I am a first-year law student at Michigan State University College of Law, and I am a candidate for the Treasurer position of NNALSA. While I was an undergraduate, I served two terms as the President of Indigenous Students at Syracuse. As President of a student organization, I organized events that ranged from lectures to multiple conferences on campus. Specifically, I played a large part in the planning and funding of events with the university administration and greater Syracuse community to promote the visibility and awareness of native cultures and issues. Through this position, I gained valuable experience in public speaking, fundraising, and account management. My interest and motivation for running for a board position in NNALSA stems from my experience as a native law student who has experienced the support and sense of belonging that this community offers. If elected, I would like to build on the previous efforts of others and focus on the relationship between native law students, native interests and the American legal structure. I hope to further the unification and cooperation of native law students through collaboration with NNALSA and local chapters. I look forward to the opportunity to serve our community. Hello friends and relatives! I respectfully ask you to admit this statement as my letter of interest for my candidacy as Secretary for the National Native American Law Students Association (NNALSA). For the upcoming term, I will be a 3L student at the Sandra Day O’Connor College of Law at Arizona State University. I am a member of the Navajo Nation. I currently serve as the Public Relations Director at the ASU Law Chapter of NALSA. Throughout my academic and professional career, I have gained considerable skills related to the duties and responsibilities for NNALSA Secretary. Most recently, I have been working as an intern for the Legal Education Support in Pakistan Program as part of the ASU International Rule of Law and Security Program. My duties have included drafting quarterly reports and cost extension proposals for federal grant funds that my supervisor submitted to a federal agency. Additionally, I served as the Southeast Regional Director for USA Ultimate, where I oversaw all aspects—administrative, financial, and competition-related—of the College Championship Series. My Regional Director duties spanned three college divisions among seven states. Thank you to my family, mentors, professors, colleagues, friends, and more for being the complete foundation to my successes and influential experiences. My law school education would not be possible without them. I will strive to provide our NNALSA members the same support and encouragement in order to affirm the inherent greatness and strong character that we can consistently see across Indian Country. Hello! My name is Jordan Oglesby and I’m a member of the Navajo Nation. I’m currently a 2L at the University of New Mexico School of Law and hope to serve as National NALSA Public Relations Director for the 2019-2020 year. As UNM NALSA’s Vice President, I have been responsible for communicating with our current membership, alumni, and greater community through social media and other forms of communication. In my other leadership roles, I have also improved communication between communities through the expansion of disseminating information whether through Facebook, Twitter, Instagram, or email. I have also gained experience in fundraising efforts through the many events UNM NALSA has hosted this past year. If elected, I plan to build upon the important work the previous Public Relations Director has achieved with the alumni database, fundraising efforts, and resume book. I also hope to implement further efforts to highlight NNALSA members and the work they do throughout the academic year. I look forward to the opportunity to help connect NNALSA members with alumni and opportunities everywhere, because I’m invested in the success of the NNALSA community. Yá’át’éeh shik’é dóó shidiné’é! Shi éí Lok’áa Diné’é nishłį dóó Tsinaajínii baashishchiin. Tódichiinii éí dashicheii dóó Kinłichiinii éí dashinálí. Shi éí Cora Tso yinishyé. Hello friends and relatives! My name is Cora Tso. I am a member of the Navajo Nation. I am of the Reed People clan, born for the Black Streaked Wood clan. My maternal grandfather is of the Bitterwater clan and my paternal grandfather is of the Red House clan. I am from a small community located on the Navajo reservation called Shonto. I am a second-year law student at the Sandra Day O’Connor College of Law at Arizona State University. It is with great enthusiasm that I respectfully submit my candidacy for Vice-President of the National Native American Law Student Association (NNALSA). I currently serve as the NNALSA Area One Representative and as Secretary at my local NALSA Chapter. Therefore, I have a working knowledge of how National and local NALSA Chapters operate and believe these leadership experiences will be an asset to the NNALSA Executive Board. As National NALSA Vice President, I will work collaboratively and effectively with the NALSA Chapter that submits a bid for hosting the 2019-2020 NNALSA Moot Court Competition, as well as, support the vision and initiatives of the NNALSA President and Executive Board. I recognize wholeheartedly the service and sacrifice of those who have come before us and hope to continue serving in that legacy. With the 50th Anniversary of National NALSA approaching, I want to ensure that our current and future members have the support, access, and opportunities that will assist them in their journeys throughout law school and beyond. Thank you for your consideration. Please accept this letter of interest for my candidacy for National Native American Law Students Association (NNALSA) Treasurer. I am a rising second-year law student (2L) with the Sandra Day O’Connor College of Law at Arizona State University. I am a member of the Lumbee and Blackfoot Nations. Before law school, I served as the Vice-President of the Tribe of Many Feathers Native organization at Brigham Young University where I helped establish fundraising events as well as a campus pow wow. After obtaining my undergraduate degree, I worked for a financial literacy program that helped underprivileged students learn how to earn and manage their personal finances as well as make proper financial decisions. Throughout this experience, I learned valuable financial management skills that will make me an outstanding Treasurer and member of the NNALSA Executive Board. As NNALSA’s Treasurer, I will maintain trustworthiness and transparency with our valuable funds. Another aspect of this opportunity is to assist the other E-Board members in any way necessary, which I look forward to doing. Area 1 represents Arizona, California, Hawai`i, and Nevada. Yá’át’ééh, fellow law students. My name is Paulene Abeyta and I am an enrolled member of the Navajo Nation. I am a first-year law student at the University of Arizona and a candidate for the National NALSA Area 1 Representative. I served as a volunteer during this year’s NNALSA moot court competition and walked away feeling inspired by the unity and cooperation among law students. The experience I gained in the 1L Delegate position with my local NALSA Chapter motivates me to continue helping other law students at the national level. If chosen as the Area 1 Representative, my goals are to strengthen the communication and reporting from our NALSA chapters in Arizona, California, Hawai’i, and Nevada. I respectfully ask for your vote for Area 1 Representative in the 2019 National NALSA Election. Ahéhee’ (thank you). Area 2 represents Colorado, New Mexico, and Utah. Yá’át’ééh and Aloha, NNALSA members. My name is MacArthur Stant and I am an enrolled member of the Navajo Nation. My heritage also includes being a descendent of the Hopi tribe and Native Hawaiian. 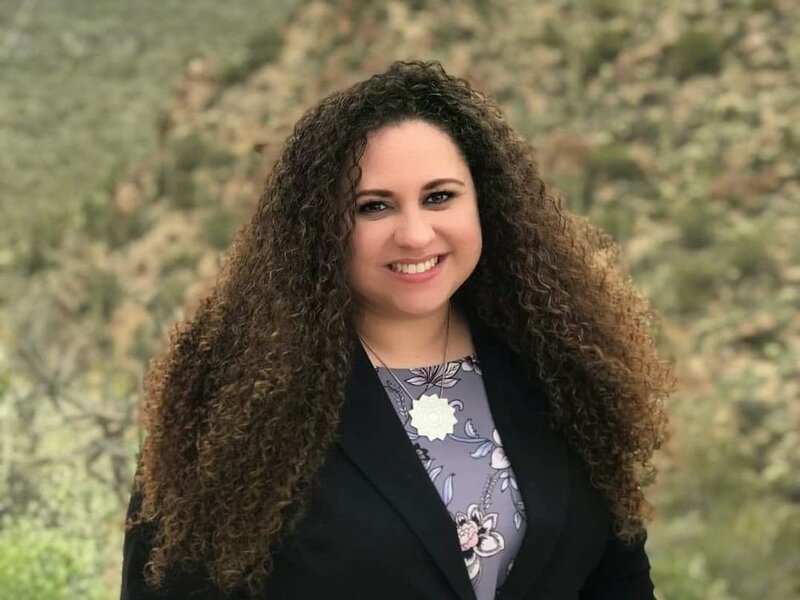 I am a first-year law student at the University of New Mexico, and I am excited to be a candidate for the NNALSA Area 2 Representative. As the Area 2 Representative, my energies will be used to support and strengthen the chapters and members of the Colorado, New Mexico, and Utah region. My efforts will be to provide an important communication link between the Area 2 members, charters, and NNALSA. I look forward to the opportunity to serve both Area 2 and NNALSA. I respectfully ask for your vote for Area 2 Representative in the 2019 NNALSA Elections. Thank you. Chokma! My name is Victoria Wilson-Burns and I am a citizen of the Chickasaw Nation of Oklahoma. 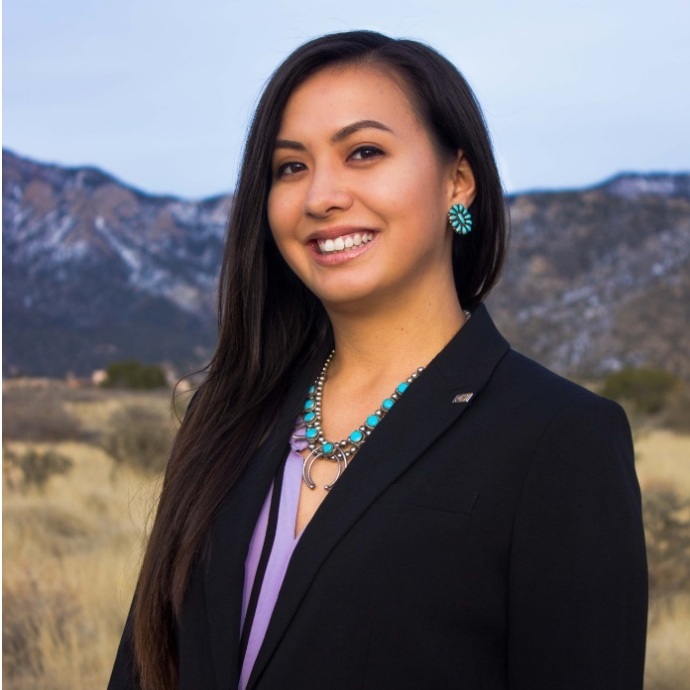 I am running for the National Native American Law Student Association’s Area 3 Representative position for the 2019-2020 school year. I am the President-elect for my chapter for the 2019-2020 school year and I will also be completing my certificate in Native American Law. I believe that my networking and leadership skills will be a benefit to NNALSA and my own NALSA chapter at The University of Oklahoma College of Law. My name is Blair Tarman, and I am a rising 2L at the Sandra Day O’Connor College of Law at Arizona State University. I am an enrolled member of the Chickasaw Nation, and I am running for the National NALSA Area 3 Representative Position. Prior to attending law school in Arizona, I received my Bachelor’s Degree in Political Science from the University of Oklahoma. 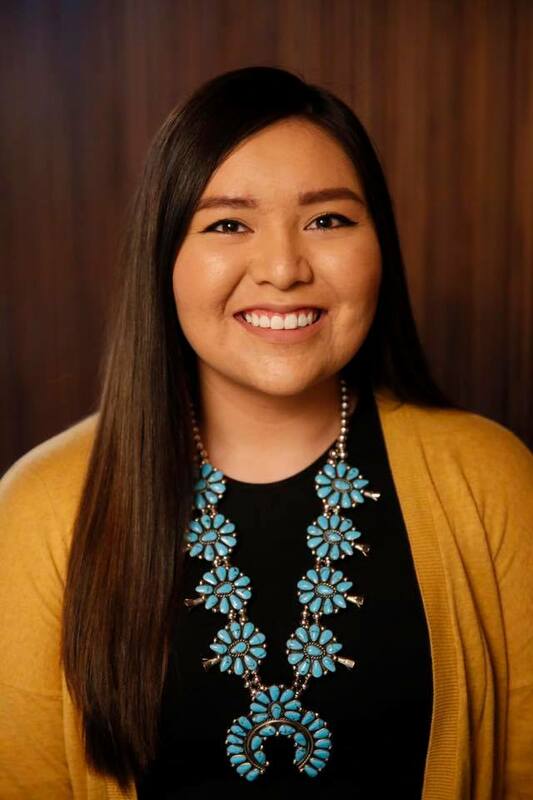 I had the pleasure of working for my tribe as an undergraduate student, and I look forward to serving my tribe again this upcoming summer through the Chickasaw Nation Internship Program. I was born and raised in Oklahoma, and feel passionate about serving the area as well as National NALSA. 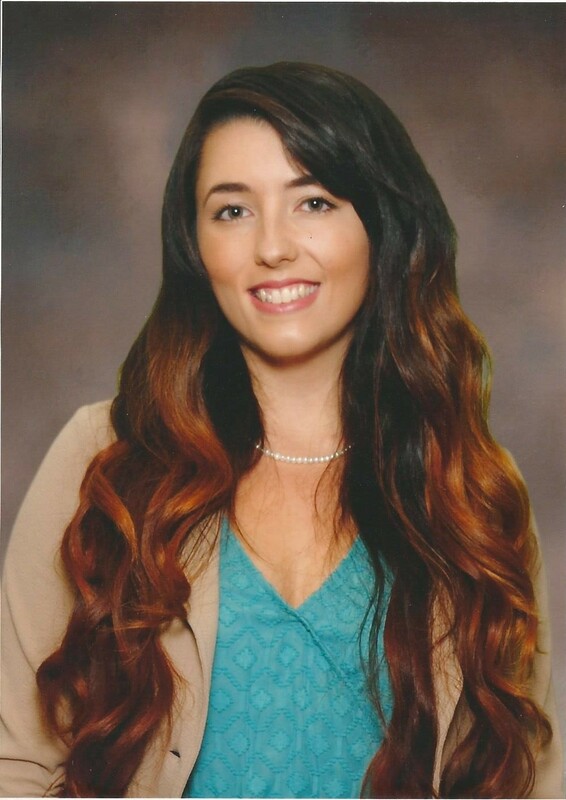 My involvement with the Indian Legal Program and ASU’s NALSA chapter has furthered my commitment to indigenous communities, and positively contributed to my experience as a first year law student. Being a member of NALSA eased the transition of moving to a new place, and has provided me with an incredible support system. As Area 3 Representative, it would be my goal to ensure that NALSA members are able to share in the same experience that I have had through involvement with this organization. I plan to achieve this goal by encouraging communication and helping NALSA chapters to grow. I humbly ask for your vote, and sincerely appreciate your consideration. My name is Austin Moore. I am a rising 3L at Michigan State University College of Law and I am an enrolled member of the Samish Indian Nation. I am running for the National NALSA Area 4 Representative position. Since my 1L year, I have been involved with our university’s NALSA, as well as serving as this year’s Secretary. I am also involved with our Student Bar Association and have been active in our law school community by attending as many events this year from Michigan State’s diversity programs as I can. Being involved with MSU’s NALSA chapter has given me the skills to keep our organization connected through email and our TWEN page, as well as helping organize social events for our members to get to know each other. I wish to bring these experiences with me to National NALSA to keep Area 4 connected with one another and to National NALSA. Thank you, Austin Moore . My name is Catelin Kawahinekoa Aiwohi. I am Native Hawaiian, from the island of Maui, and grew up on the Paukukalo Hawaiian Homestead. I am currently a 1L at the University of Wisconsin Law School. Before law school, I spent several years in Washington, D.C. Most recently, I had the privilege of working for Senator Tom Udall on the U.S. Senate Committee on Indian Affairs. My time in the Senate allowed me to gain a deeper understanding of the many factors that help shape federal law and policy. Perhaps, most importantly, the work I conducted solidified my desire to attend law school and further my commitment to working on issues impacting indigenous communities. My interest in serving as the Area 4 Representative stems from a desire to help other Native students in achieving their goals. By fostering a strong support network, I believe that we can guide, mentor and learn from each other’s academic experiences. If given the opportunity to serve as the Area 4 Representative, my hope is to promote the sharing of information and resources so that important professional connections can be made to help students attain their career aspirations. Currently, I am a 2L at The University of New Mexico School of Law and am pursuing the Indian Law Certificate. Over the course of this past year, I have served as the Area 2 representative for NNALSA and the Indian Law Section Student Liaison for our local UNM NALSA chapter. Over the past year, I have been able to support my peers and facilitate communication between several organizations and chapters. Serving in these leadership positions allowed me to work with individuals in roles and to advocate for the best interests of NALSA members. I am an enrolled member of the Lumbee Tribe of North Carolina and have always been active in North Carolina’s Native communities. My passion for the success of Native communities is rooted in my identity and drives my career goals. Prior to law school, I was a high school social studies teacher for nearly a decade in NC. As a public high school teacher, I was a faculty sponsor for Native American student organizations, was a cultural consultant for Title VII Indian Education programs, and created curriculum for and taught high school American Indian Studies courses in two districts.As a student at The University of North Carolina at Pembroke where I earned a BA and MA in Social Studies Education and minored in American Indian Studies, I was a member of UNCP’s Native American Student Organization and Alpha Pi Omega Sorority, Inc.Through my professional and academic pursuits, I have worked well with different types of people in an ever-changing environment with limited resources.I believe the skills I developed over the years will help me to weather challenges that may come working in this position and are directly transferable to the expectations of an Area Representative. Chokma! My name is Mari Hulbutta and I am a proud citizen of the Chickasaw Nation and a descendent of the Seminole and Muscogee (Creek) Nations of Oklahoma. I am a rising 3L at Columbia Law School and an alumna of Columbia University’s Columbia College. I currently serve as President of Columbia’s NALSA chapter. In this role, I manage a 12-person board. Indian Community House, the New York Indian Council, the Ivy Native Council, United South and Eastern Tribes, Inc., and the National Congress of American Indians. If I am elected to serve as NNALSA Area 6 Representative, I will use my existing network to create opportunities for Area 6 NNALSA members to connect and serve tribes in the region. In addition, an early priority of mine will be soliciting ideas for collaboration across NNALSA chapters. I sincerely appreciate your consideration in advance.